Though the celebrated C.S. Lewis, didn’t necessarily have a long life, he managed to accomplish a great deal with the time he was given. In his 65 years on earth, Lewis went from being raised Christian to later becoming atheist; only to be brought back to the Christian faith later. His famous friend, J.R.R. Tolkien, played a key role in his return to the faith. Lewis created a world near and dear to many hearts through his well- known Narnian stories, which continue to influence our culture, over 60 years after the last book was published, For instance, three of the seven books have recentlybeen turned into major motion picture productions. Since 1950, (the year The Lion, The Witch, and the Wardrobe was published) The Chronicles of Narnia series has sold over 100 million copies and has been published in 47 different languages. Lewis continues to inspire all Christians through his essays and novels. Besides the Narnia series, his novels Mere Christianity, The Screwtape Letters, and The Great Divorce are but a few of his insightful works. With all the wonderful stories and perspectives Lewis gave us, many authors have tackled the challenge of writing about him and his work. Through these books, one is able to gain more perspective of Lewis’s character and backstory; as well as an understanding of his faith journey. Listed below are some of the works that help us better understand C.S. Lewis. We’ve included excerpts from the books where available via Google Books. Sayer draws from a variety of sources, including his close friendship with Lewis and the million-word diary of Lewis’s brother, to paint a portrait of the man whose friends knew as Jack. Offering glimpses into Lewis’s extraordinary relationships and experiences, Jack details the great scholar’s life at the Kilns; days at Magdalen College; meetings with the Inklings; marriage to Joy Davidman Gresham; and the creative process that produced such world-famous works as the classic Chronicles of Narnia, Mere Christianity, and The Screwtape Letters. 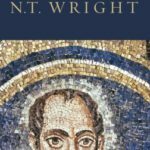 This book is an intimate account of the man who helped-and through his works, continues to help-generations hear and understand the heart of Christianity.